Feiping Nie received the Ph.D. degree in Computer Science from Tsinghua University, China in 2009. He is currently a research assistant professor at the University of Texas, Arlington, USA. 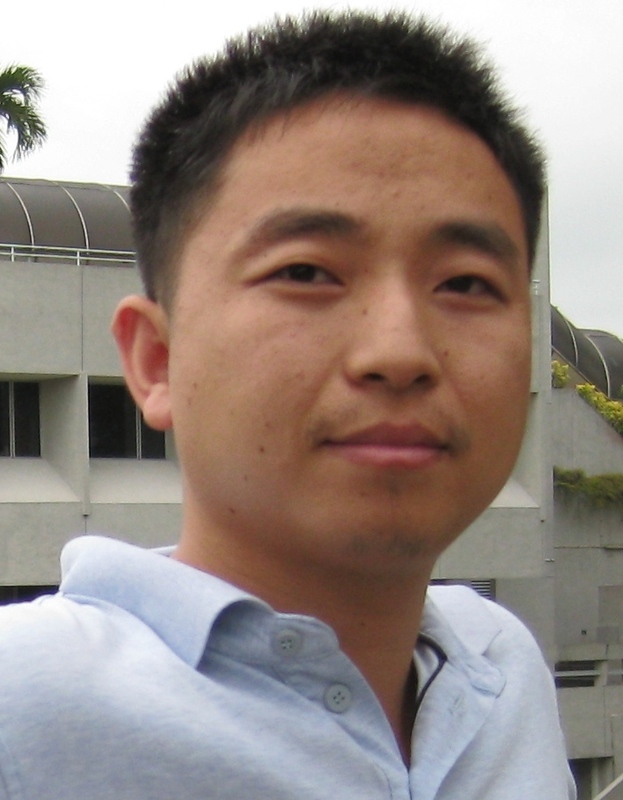 His research interests are machine learning and its application fields, such as pattern recognition, data mining, computer vision, image processing and information retrieval. He has published more than 100 papers in the following journals and conferences: TPAMI, IJCV, TIP, TNNLS/TNN, TKDE, TKDD, TVCG, TCSVT, TMM, TSMCB/TC, Machine Learning, Pattern Recognition, Medical Image Analysis, Bioinformatics, ICML, NIPS, KDD, IJCAI, AAAI, ICCV, CVPR, SIGIR, ACM MM, ICDE, ECML/PKDD, ICDM, MICCAI, IPMI, RECOMB. According to the Google scholar, his papers have been cited more than 2000 times. He is now serving as Associate Editor or PC member for several prestigious journals and conferences in the related fields. machine learning, data mining, image processing, pattern recognition. 1. Feiping Nie, Yizhen Huang, Xiaoqian Wang, Heng Huang. New Primal SVM Solver with Linear Computational Cost for Big Data Classifications. The 31st International Conference on Machine Learning (ICML), 2014. CODE A new linear time solver for SVM which can be easily implemented with only several lines of MATLAB code, and can be easily parallelized. 2. Feiping Nie, Jianjun Yuan, Heng Huang. Optimal Mean Robust Principal Component Analysis. The 31st International Conference on Machine Learning (ICML), 2014. CODE Consider the optimal mean in robust PCA, which is an easily ignored issue. Propose a very simple algorithm to solve a very general problem. 3. Hua Wang, Feiping Nie, Heng Huang. Robust Distance Metric Learning via Simultaneous L1-Norm Minimization and Maximization. The 31st International Conference on Machine Learning (ICML), 2014. 4. Feiping Nie, Xiaoqian Wang, Heng Huang. Clustering and Projected Clustering with Adaptive Neighbors. The 20th ACM SIGKDD Conference on Knowledge Discovery and Data Mining (KDD), New York, USA, 2014. CODE Solving a challenging and fundamental clustering problem with elegant optimization and with amazing performance! 5. De Wang*, Feiping Nie*, Heng Huang. Large-Scale Adaptive Semi-Supervised Learning via Unified Inductive and Transductive Model. The 20th ACM SIGKDD Conference on Knowledge Discovery and Data Mining (KDD), New York, USA, 2014. CODE Only one parameter r, which has multiple properties: 1. From macro view, r controls the weight of unlabeled data (larger r, less weight). 2. From micro view, given r, uncertain data lying around boundary have negligible weights (more uncertain, less weight). 6. Chenping Hou, Feiping Nie, Dongyun Yi, Yi Wu. Efficient Image Classification via Multiple Rank Regression. IEEE Transactions on Image Processing (TIP), 22(1):340-352, 2013. CODE Propose a new 2D (or tensor) method, which trades off the learning ability and generalization. Traditional 2D method: weakest learning ability but best generalization. 1D method: best learning ability but weakest generalization. 9. Yun Liu, Feiping Nie*, Jigang Wu, Lihui Chen. Efficient Semi-supervised Feature Selection with Noise Insensitive Trace Ratio Criterion. Neurocomputing, 105:12-18, 2013. CODE Analyze the noise influence to the trace ratio criterion for feature selection. Propose a simple and reasonable feature normalization approach for feature selection. 11. Hua Wang, Feiping Nie, Heng Huang. Robust and Discriminative Self-Taught Learning. The 30th International Conference on Machine Learning (ICML), 2013. 12. Hua Wang, Feiping Nie, Heng Huang. Multi-View Clustering and Feature Learning via Structured Sparsity. The 30th International Conference on Machine Learning (ICML), 2013. 19. Zhigang Ma, Yi Yang, Feiping Nie, Sebe Nicu. Thinking of Images as What They Are: Compound Matrix Regression for Image.